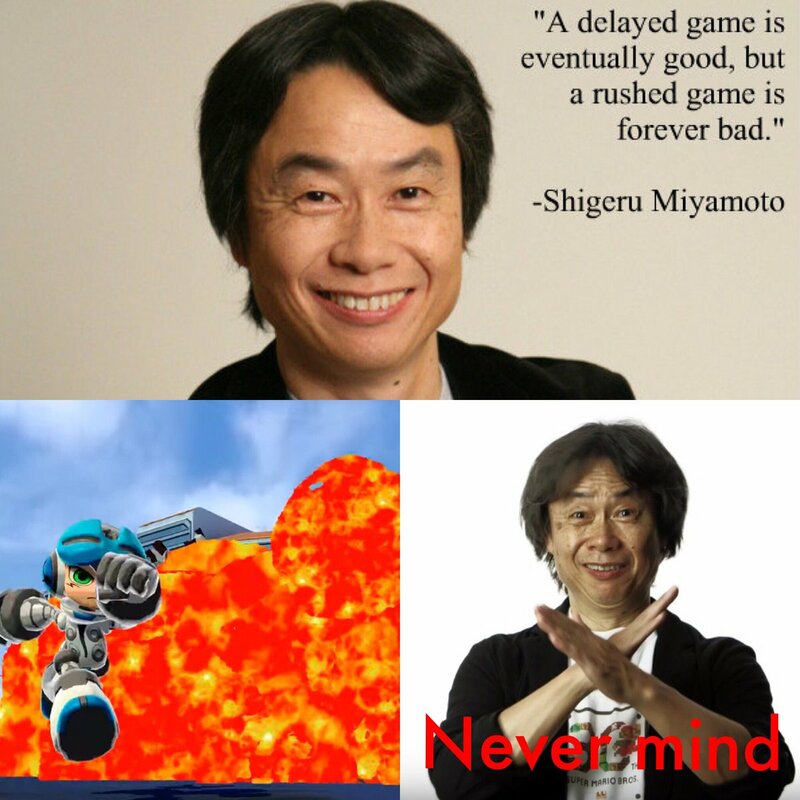 Saw a thread relating to megaman by warelander and I was curious to see due to Inafune just being roundabout with how he has done things. Slowing and delaying the game each time are people still wanting this game? Since Inafune's creator has made megaman and with kickstarter it made a chance for another soul successor, but the way things are turning looks grim. Some designs of the robots look really bland and the stages themselves remind me of a weird blend of megaman x/zx advent not saying that's a bad thing but it doesn't really fit the style of some of the classic games in the franchises. Personally Mighty No. 3 looks one of the best and reminds me of the mmz bosses like Pandora. I wasn't too interested in this. These things are very hit or miss but I guess it also depends on who's behind it. Mighty No. 9 being lead mainly by Inafune was probably a red flag. My memory is a bit rusty but I don't really remember him being much more than a creator of a number of series. Things like Yooka-Laylee and Bloodstained have some pretty strong groups of developers behind them. The Shantae Kickstarter game has the reliable Wayforward behind it. I'd need to experience the game for myself, and it's looking less and less like I want to play it and more and more like I'm forced to due to being a backer back in 2013. The game itself is gonna have to wow me to eliminate the feeling. Planning to rent it unless reviews are horrid. I didn't contribute to the Kickstarter so I don't have a code on the way, and I saw 2 or 3 Twitter opinions over the years from people who played press demos and were not impressed. I don't need the game. Watching the trainwreck is good enough. One thing I find kind of funny is that only now are people bashing Inafune for his handling of the game, when he was already responsible for a lot of the bad trends at Capcom (shuttering Clover, outsourcing sequels to Z-tier Western studios... etc). I guess someone on NeoGaf put it best when they said "If you repeat an old Japanese dude's name enough time, he becomes infaillible". I don't care 'bout Might No.9 to be perfectly honest, I never played a megaman game in my life, no need to play a reboot or whatever it is. Duke Nukem Forever comparisons aside I doubt the final product will be something akin to Sonic Boom in terms of unfinished and whatnot, But probably is going to end up as a game with Development Hell that gets put out to average reception if anything. I might grab it used, but my hype for it burned out awhile ago. So finally we got a reveal trailer of Mighty No. 9 and as expected it really looks abysmal. Quite disappointed that it just ends up looking like some Xbox 360 live arcade game, is this what people wanted when they backed the game? Mighty No. 9 seems like one of those things where the real game is watching the trainwreck unfold. i hope nobody here backed that. Definitely agree here that it is a trainwreck but I'll let you check out he trailer for yourselves here. You also gotta love their edge at 0:58 of the video " You kill an enemy and you can absorb their power ups, Make the bad guys cry like an anime fan on prom night. " Here is an informative video, talking about this whole Mighty No. 9 fiasco, he's also made more videos on the topic of Mighty No. 9 and just Megaman in general. I think it's Deep Silver who will be crying on prom night. Then again, what did you expect from the people who were willing to publish a gem like Ride to Hell: Retribution 1%? You know it's bad when Sonic Team starts mocking you. And of course, DiGorno responded to it. I was mildly interested when the game was first announced, but not to the point where I'd back or follow it. Can't say I regret that, knowing how it turned out. I definitely don't want it after those mediocre review scores, those trailers, and the generally uninteresting design that seems to be present all around.